How to Improve RoI with Software Test Automation? Automation crosses all functions in industry from installation, integration, and maintenance to design, procurement, and management. Automation even reaches into the marketing and sales functions of these industries. It involves a very broad range of technologies including robotics and expert systems, telemetry and communications, electro-optics, Cybersecurity, process measurement and control, sensors, wireless applications, systems integration, test measurement, and many, many more. #SoftwareTestAutomation is critical for improving #RoI. Read More. Automation drives growth and it follows manual testing. 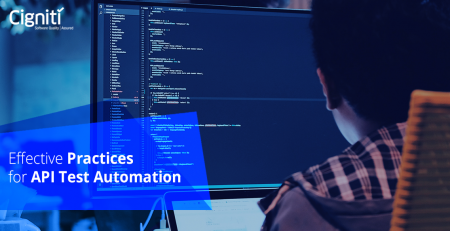 While there could be couple of Manual testing rounds done, Test automation entails the use of specific software to the check the execution of tests and compare the actual outcome alongside the predicted outcomes. 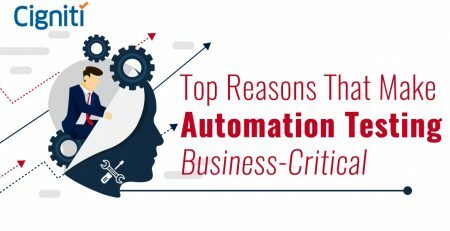 The key and compelling aspect about Automation is that it mechanizes recurring, but mandatory tasks by implementing standardized testing processes/tools. Thus, businesses must accelerate and automate the testing mechanism to ensure flawless product/application. The sheer purpose is to make it effective in terms of costs, time, and efforts. With rising demand and opportunities in the market, applications have to be developed within shrinking timelines and at the same time it is necessary to optimize the existing manpower. Without automation professionals, our world and our future would be very different. Let’s think about the cell phones and computers that we use daily in our life to do our jobs; the car that we drive to work; the television, video games, or music systems. Think about any modern convenience or necessity – and you will realize that it is the result of complex processes. Without talented individuals to design, build, improve, and maintain these processes, these technological advances would never have occurred and future innovations would be impossible. Automation professionals thus play a very vital role in for solving complex problems in many vital aspects of industry and its processes. The work of automation professionals is critically important to the preservation of the health, safety, and welfare of the public and to the sustainability and enhancement of our quality of life. The main goal of Automation testing is to increase the test efficiency and develop software value. Automation testing helps in implementing SDLC in lesser time and provides efficiency and effectiveness to the testing software. Like Regression Testing, Automation Testing is also used to test the application from load, performance, and stress point of view. In other words, using Automation Testing tools we can write and execute test cases, without manual involvement using automated test suite. 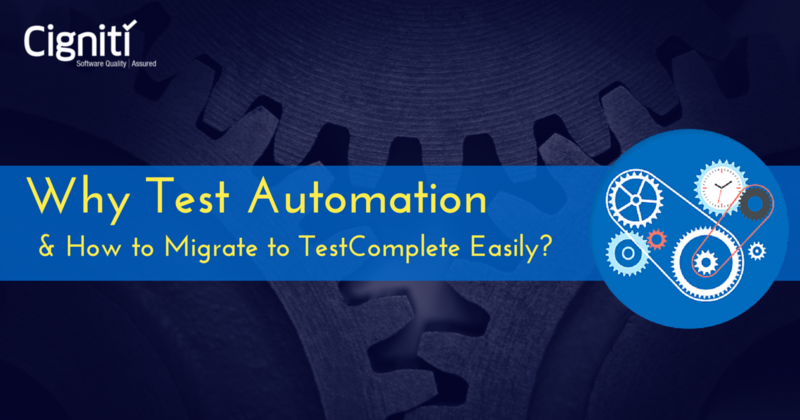 Usually, testers write test scripts and test cases using the automation tool and then group into test suites. With emerging methodologies such as Agile, Continuous Integration (CI), and Continuous Deployment (CD), Software Test Automation has become vital as most organizations desire faster deployments and reduced time to market. If, and when a product/project has more no of releases that require regression testing, then automation is useful. Note: In case the above criteria is not being fulfilled, or is not suitable, its recommended not to go for Automation testing. Not every software process must be automated. Identify Best Candidates for #SoftwareTestAutomation. For smaller applications, defining the correct scope for automation is important. For example, if a project is going to be completed by four months, working on an automation script that needs three months to complete, and you get to run it only once or twice won’t give you the benefits of automation. Defining the scope is very important. In the same project, you may want to run the functionality with ten thousand different data points to check if the behavior is same. At this point, automation becomes important as executing the same test case for so many variables manually is not feasible. Hence, defining and identifying the correct automation scope is very important. How to Improve ROI with Software Automation? It is a known fact that the initial costs for implementing automation are high. Automation is a strategic decision and an understanding of the potential ROI will help in making the decision to invest in automation. To achieve better ROI from automation, it is thus recommended to calculate your estimated ROI and understand the factors that will influence and enhance your investment and get the best out of automation. Identifying the right processes & implementing #SoftwareAutomation helps improve RoI. Check our blog. 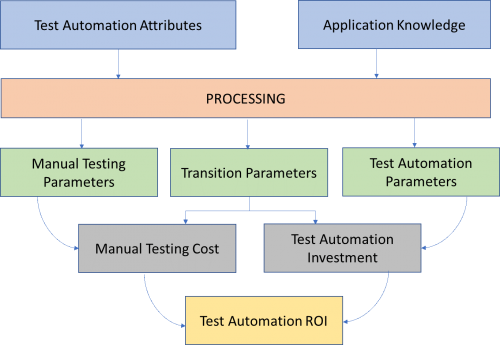 It is always good to understand and analyze the need for automation, analyze the product, and the existing test suite, identify the right test automation tool and then estimate the timeframe required to design and automate the entire testing. This exercise would benefit in finding your potential automation ROI before investing in it. Realize over 70% reduction in overall regression testing efforts – that eventually translate to improved RoI? Cigniti’s team of experts have collaborated with small and big enterprises globally to enable them with a Test framework and an Automated Center of Excellence, which has resulted in faster time-to-market without compromising on the quality. Swathy has 9+ years of industry experience in quality domain and Agile. She is a part of Process Management Group (PMG), and has expertise in Project Management, Process definition, Facilitation, and Audits. She believes in the philosophy of “Hardship often prepares an ordinary person for an extraordinary destiny!